It’s early Wednesday morning, and I’m all fired up (just wait until I tape my weekly Kerry Lutz podcast an hour from now); as, per the title of the most passionate, vehement Audioblog of the 149 I have taped, May 18th’s “FOMC Minutes Attack” has, in just three weeks time, miserably failed. As not only have gold, silver, and platinum already recouped more than half of their blatantly Cartel-orchestrated “losses,” but the COMEX “commercials” (i.e, the Cartel) barely covered any of their all time high naked short positions, even if they started to, LOL, try. In other words, it’s becoming nearly impossible to cover such gargantuan, undeliverable positions without causing prices to explode – even when they engineer what used to be sentiment-draining, for months on end, waterfall declines. 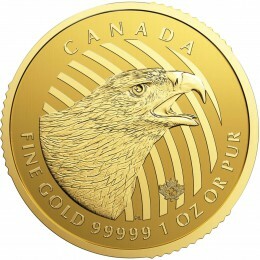 Heck, the biggest drop of all – taking gold to, LOL, $1,199.80/oz – was attempted on Memorial Day Eve, despite all U.S. markets being closed the following day. Talk about running into a wall of support, when no one is expected to be around! Frankly, I was shocked to see copper actually react to a negative inventory report – as in today’s world of 24/7 market manipulation, such economic realities are typically papered over with fraudulent futures trades, as exemplified by crude oil constantly surging any time an inventory report is “slightly better than expected” – despite the fact that crude oil inventories, and production, are at all-time highs; with nowhere to go but up, amidst a demand environment that will at best be flat for the foreseeable future. Yes, there is a “copper PPT” as well – but unlike the current, rabidly active “oil PPT,” it has not been effective in preventing base metals from plunging toward their 2008-09 lows, amidst a vast oversupply of inventory – and latent mine supply – that will swamp prices for years to come. Which brings me to my forecast of an upcoming, historic silver shortage; a premise supported by, amongst countless other factors – the fact that two-thirds of global silver production emanates from copper, lead, and zinc mines that are so hopelessly oversupplied, production MUST decline in the coming years. In fact, worldwide silver production already declined last year; and given my expectation of an unprecedentedly brutal global recession (which quantitatively, has already started); combined with the aforementioned, unprecedented oversupply of copper, lead, and zine mines; I not only believe “peak silver” has arrived (not to mention, “peak” gold and platinum), but that global silver production could decline by 25% or more in the coming years. 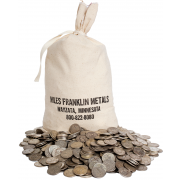 This was the conclusion of October 2014’s “Miles Franklin All-Star Silver Panel Webinar” – which today, looks more prescient than ever. And this, in an environment of record high, parabolically surging demand. 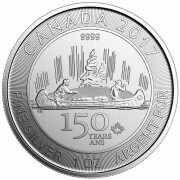 And by record high demand, just yesterday the Royal Canadian Mint reported its first quarter Silver Maple Leaf sales of 10.6 million ounces were not only 27% above last years’ first quarter levels (kicking off a year that resulted in all-time high sales), but one million ounces above the RCM’s highest-ever quarter; i.e., last year’s third quarter, when the North American bullion industry experienced a massive silver shortage (Miles Franklin had its busiest-ever three-month period, principally due to silver demand). And that, in an environment void of the type of crisis that catalyzed the historic shortage of 2008 – when the industry ran out of product for two months, and physical premiums surged to 100%. Or heck, the April 2011 shortage, when silver reached $50/oz; or even the May 2013 shortage, following April’s “Alternative Currencies Destruction” paper raid. As for the rest of the world, look no further than the world’s largest silver importer, India, which experienced record imports in 2015 despite the continued imposition of 10% import tariffs by its soon-to-be-overun, fiat-currency-loving government. 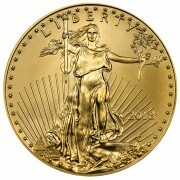 Or, for that matter, the world’s largest retail bullion market, the United States. And then there’s the giant “pink elephant” in the room; i.e., the collapsing global inventories that started when the U.S. government sold the last of its strategic silver reserve decades ago. To wit, COMEX registered silver inventories plunged to an all-time low this week, down a whopping 15% in the past two days alone! In fact, the last time inventories were this low were amidst the 2011 shortages caused by surging prices – when silver briefly touched $50/oz, just before the historic “Sunday Night Paper Silver Massacre” of May 1st, 2011 (which I assure you, CANNOT ever be repeated). Now that institutional demand has returned after four years – as U.S. dollar-priced gold, silver, and platinum have unequivocally re-entered their temporarily Cartel-slowed bull markets, a “perfect storm” of surging demand, plunging supply, and vanishing above-ground inventories is upon us. Combined with parabolic money printing; and generational political, geopolitical, and social instability; it is eminently possible that we are on the cusp of ignition, of the biggest bull market in financial market history; which in my view, will be focused on “anti-fiat monies” like Precious Metals and Bitcoin. But nowhere is shortage more likely to occur than in the most suppressed market of all, silver – where inevitably, the “ultimate quadruple top breakout,” above $50/oz, will commence a new phase in global monetary history.